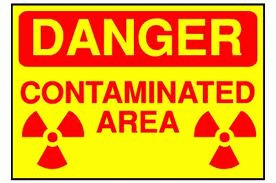 Nobody in the world knows how dispose of radioactive waste safely and permanently. That's a given. The Japanese central government is presumably aware that anything it does with still the unmeasured, but vast amount of radioactive waste from Fukushima's six nuclear power generators will be temporary. Leaving it in place is not an option. So Tokyo announced August 29 that the Fukushima waste would be stored for 30 years in Fukushima prefect, in an "interim facility" to be built probably in nearby Okuma or Futaba (now evacuated). "We've screened and confirmed safety and regional promotion measures as offered by the state," Fukushima prefect Governor Yuhei Sato said when announcing the decision. The temporary plan was proposed by the environment minister in late 2013, an offer few thought the Fukushima officials could refuse. According to Kyodo News, the Japanese government has made the same kind of promise governments around the world have made and failed to keep ever since the first nuclear waste was generated. Tokyo has "vowed to secure a site outside the prefecture for final disposal of the radioactive waste after the 30-year period, although the site has not been decided." Kyodo News also reported that 88 plaintiffs, who were Fukushima residents at the time of the March 2011 meltdowns have sued tor Japanese government and the prefect government for damages for governmental failure to protect children from radiation. Each plaintiff seeks $9,600 (100,000 yen) in compensation: "They said in a written complaint that the central and prefectural governments failed to promptly release accurate data of radiation levels in the air after the nuclear crisis was triggered by a massive earthquake and tsunami in March 2011, neglecting their duty to prevent residents' radiation exposure as much as possible, and exposed children to unnecessary radiation."